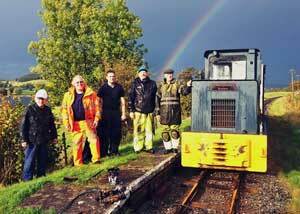 The Bala Lake Railway relies on the volunteers of the Bala Lake Railway Society, who turn out to help staff the trains, repair the engines and coaches, and relay the track, as well as the hundred-and-one other vital jobs which go to make up the work of a railway company. 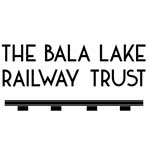 The Society was founded in 1973 to act as a support for the Bala Lake Railway Company in the operation of the Railway, it does this by providing practical Volunteer and Financial support. You are invited to join in the real fun of working on our 2ft gauge railway along the shores of the beautiful Llyn Tegid (Bala Lake). We would be delighted to welcome you as either “armchair” member or a working volunteer, there are a vast number of tasks waiting to be tackled, ranging from Train Crews (Guards, Signalmen, Drivers and Fireman) to Engineering (Engineers, Painters, Joiners and Track workers). Our comparatively small membership means that there are always more jobs to be done than there are volunteers to fill them, so anyone interested in joining will be given a very warm welcome. Whatever your skills, age or aspirations we will provide any training required. At the same time we would hope to provide you with both enjoyment & satisfaction. All we need is your support! Besides the opportunity to work on the railway, Society members receive a quarterly illustrated magazine keeping them in touch with what is happening at the Railway. They also enjoy some free travel and privilege fares on certain other preserved lines. Cymdeithas Rheilffordd Llyn Tegid is a friendly organisation, which though small at the moment is growing as the railway gains popularity. We hope that you will be one of the increasing number who fall under the spell of our unique little line and will want to lend us your support. Whether that support is moral or active, you are assured of a warm welcome. 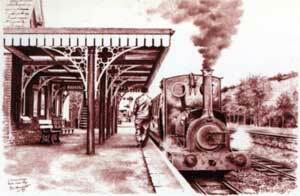 For those visiting the line and wishing to stay overnight there are a number of B&Bs and campsites nearby or working volunteers can use accommodation provided at Llanuwchllyn station.